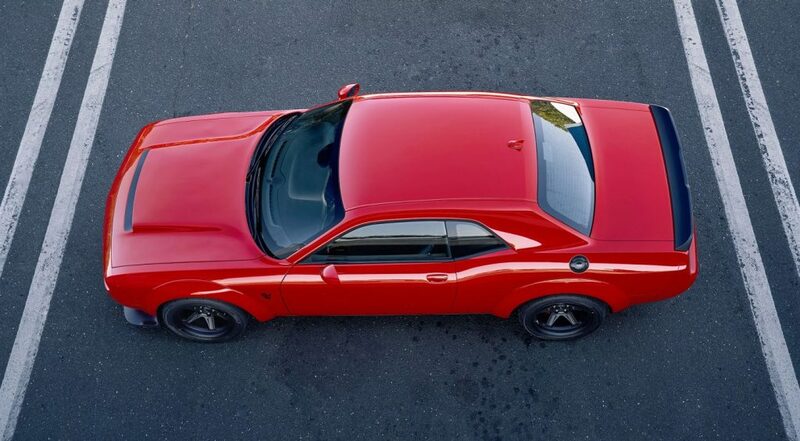 That’s right, the Dodge Demon has lived up to all the hype. In fact, it’s lived up to the hype perhaps a little bit too much. 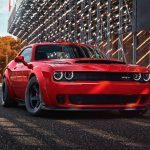 When the US National Hot Rod Association tested the new Dodge Challenger, they certified it’s time and proceeded to immediately ban it for the simple reason of being too fast. Although that defeats the purpose of the car slightly, it gives it immediate legend status and a whole load of cool-factor. Because ‘Murica. 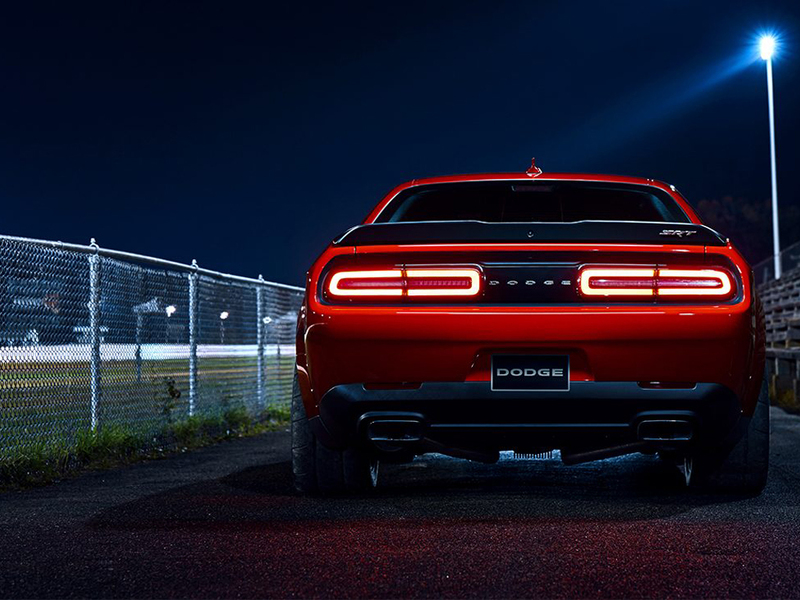 After over a dozen trailers and a tease lasting several months, the new Dodge Demon is finally a reality. This street-legal beast can monster any drag strip with a ferocity no other production car can exert. 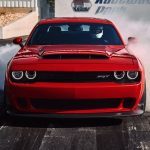 The supercharged 6.2-liter V8 was lifted straight from the Hellcat, but Dodge toyed around with a bit so it now makes 840 bhp! That’s a lot more than anyone was expecting it to put down. 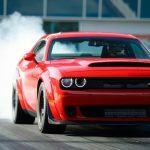 With 770 lb-ft of torque (yes, really, 770), it demolished the drag strip on its first ever outing with a time of 9.65 on the quarter mile. It’s literally so fast that it’s been banned from racing by the NHRA. Banned for being too fast, now that’s a new trend which needs to take off. How can a car get banned for being too fast, you may be wondering? Well simple really. Anything capable of running the quarter mile in under 9.99 seconds requires a rollcage and an NHRA license, and if it exceeds the 150 mph trap speed it needs a parachute as well. 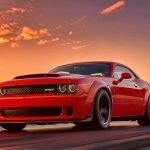 The new Dodge Challenger SRT Demon comes close to breaching that last part and absolutely smashes past the 9.99 second barrier. It launches with 1.8G of force, achieving 0-30 mph in one second, 60 mph in 2.3 seconds and 100 mph in just 5.1 seconds. It will quite literally reach 100 mph before a VW Golf GTI reaches 60 mph. Now that’s properly quick. The semi-slick tyres, trans brake and beefed up driveline all help, but no one thought it’d be doing actual wheelies at the drag strip. But it does. Skinny front tires and all. The only irony is that a production car meant for the drag strip capable of doing sub 10 second times all day can’t actually go to a drag because it’s banned. Shame.